It’s a bit of a running joke between myself and the guys at KTM, but the truth of the matter is that anything with motocross tyres tends to scare me. 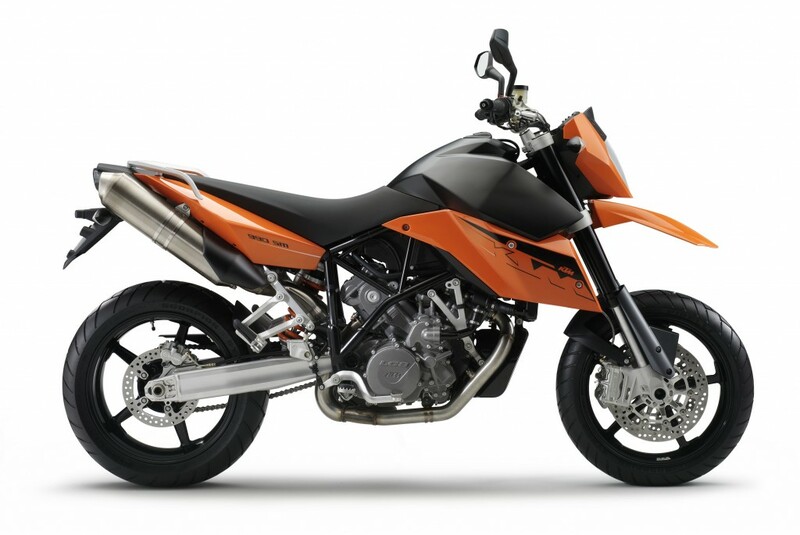 I’ve always concentrated on road bikes rather than off-road and as such I was more than a little naive when, seven years ago in early 2007, I first approached KTM to ask if I could visit the Austrian factory. 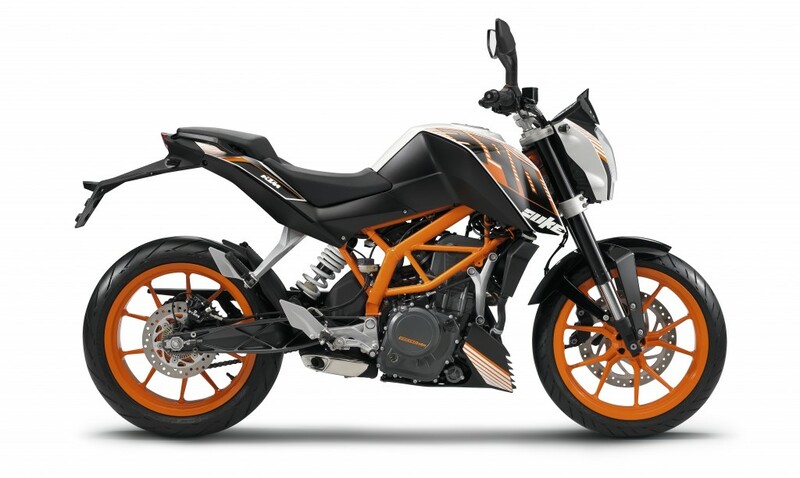 To be completely honest, such was my lack of knowledge when it came to off-roaders that, like so many road riders, I assumed KTM was simply a small firm that made very good off-road bikes and a few quirky on-road models. Sure, I was aware of their Dakar success, but that was about it. I’m not sure if this is true for all over Europe, but in the UK there is quite a divide between on and off-road riders and a bit like oil and water, they tend not to mix. On road dealers sell on road bikes, off-road dealers sell off-road bikes. 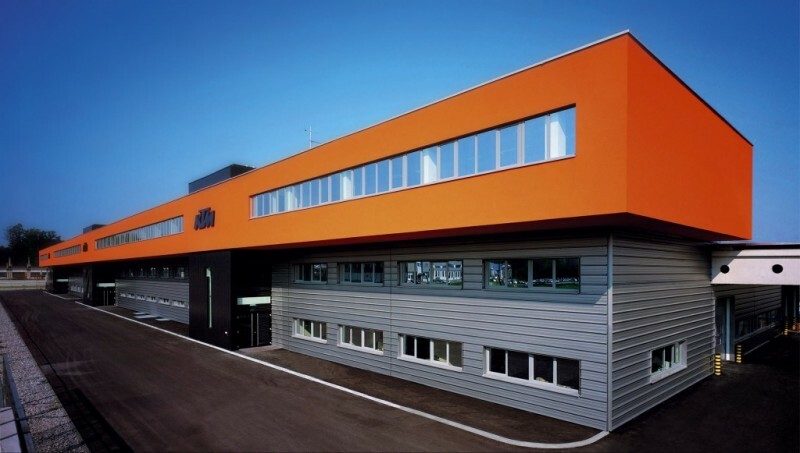 Anyway, a few calls to KTM and very quickly I was invited out to Mattighofen for a guided tour of the factory. Again, in my naivety I assumed this would be a quick walk around a fairly small factory. 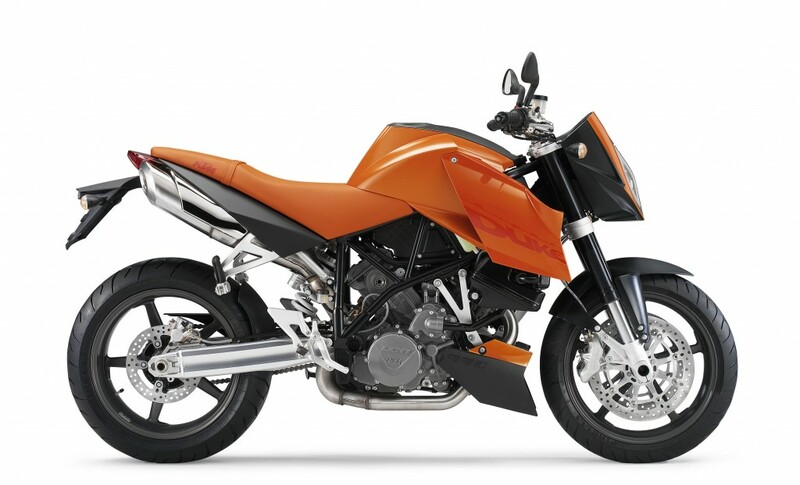 You have to remember that in 2007 the only large capacity road bikes KTM were making was the 990 Adventure, Super Duke and Supermoto. 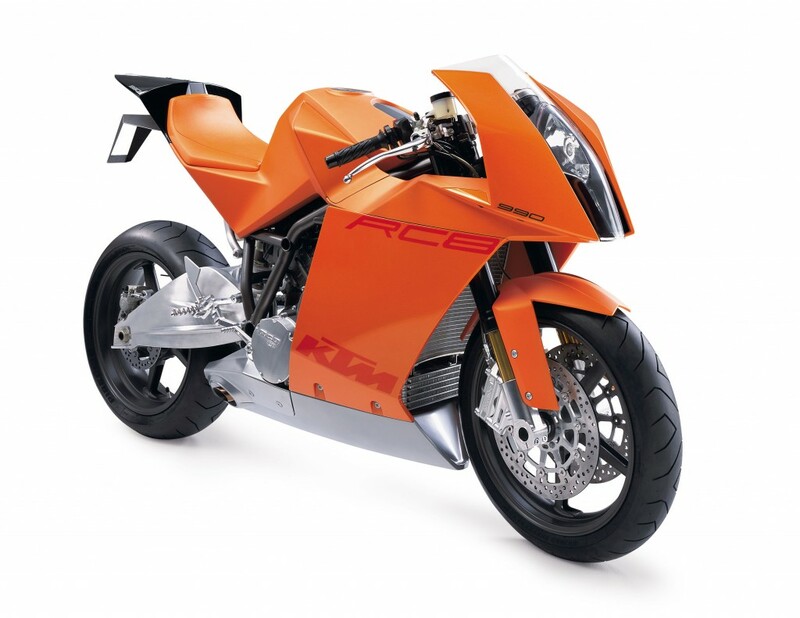 The RC8 was still a year away from production and the rest of the road bike range was single cylinder thumpers. 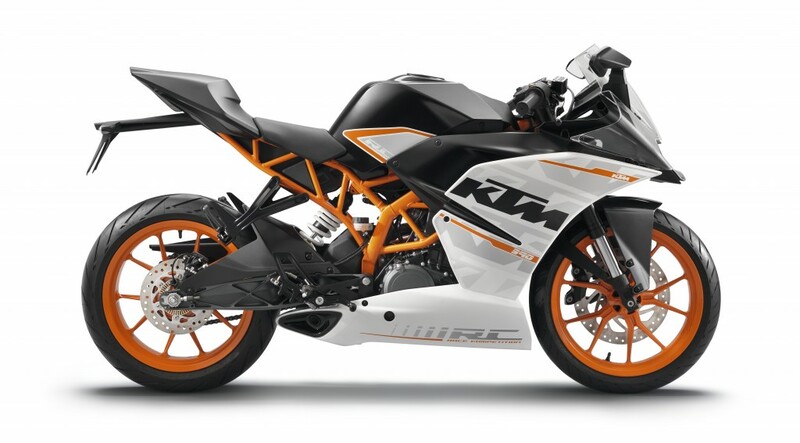 Before getting on the plane I did a bit of background research, which is when I realised I may be in for a surprise when I got to Austria… At that time, KTM had more dealers in the UK than Harley-Davidson, Ducati, Triumph and even BMW. In 2006 they had produced 85,000 bikes, all in Austria, and that made them the second biggest motorcycle manufacturer in Europe. In my defence, 55,000 of those were off-roaders, but still, there was no denying KTM were big players in the motorcycle market. And as I discovered while I was out there, they were looking at getting even bigger. 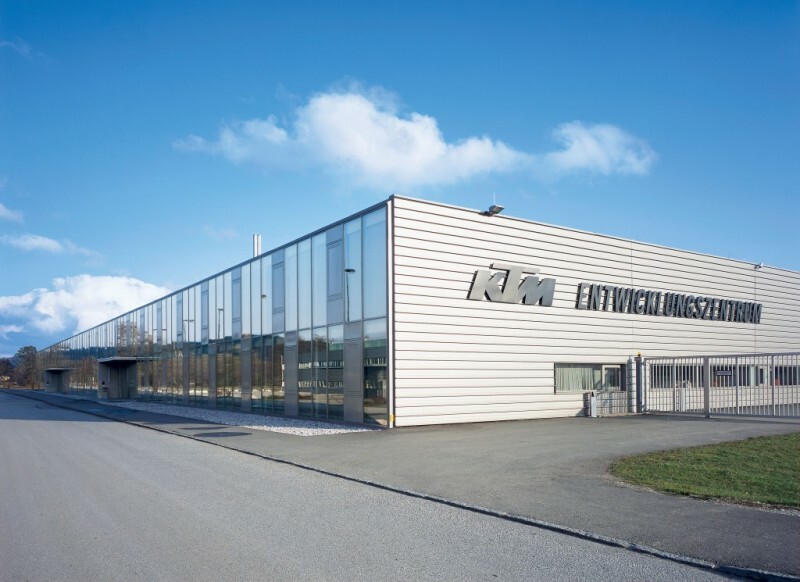 I still remember the first time I saw the KTM factory. From quite a distance away you can see the orange (naturally!) building, which is impressive enough, but the coolest part was the glass display cabinet that stands outside housing every bike in the current model line up. But it was the size that amazed me the most, the factory was enormous and far from the small assembly plant I was expecting. Walking around the factory with my guide for the day, Thomas Kuttruf who is still at KTM today in charge of PR (and a good friend), the reason for the size soon became apparent. 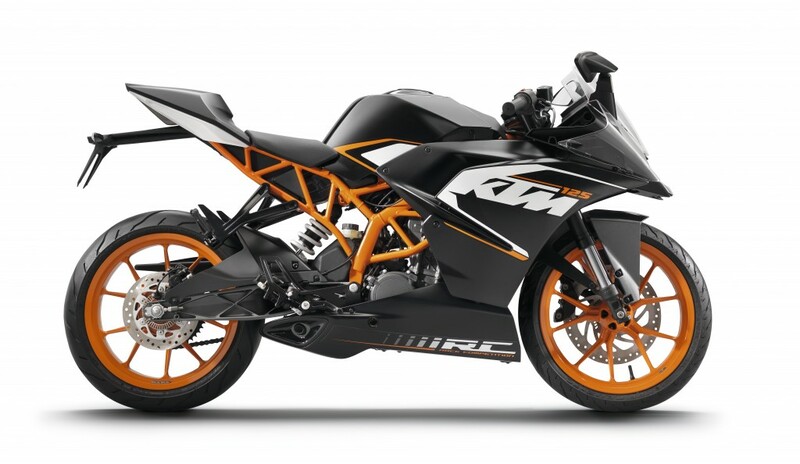 To my amazement, KTM built virtually every component of their bike in house. There was very little outsourcing and I watched as teams of welders constructed frames and exhaust pipes from scratch while in another area spoked wheels were built at the rate of 55,000 pairs a year! Thomas told me that 85% of their bikes were either made in that factory or firms local to it and if they couldn’t find a decent local supplier, they simply built their own manufacturing facilities. I’d been to other manufacturer’s factories, but the Mattighofen facility was like nothing else I’d seen before. And neither was the attitude of the KTM staff. As you can imagine, secrecy on new models is pretty important to a manufacturer, but despite being accompanied by a photographer, Thomas took us into the brand new R&D department. 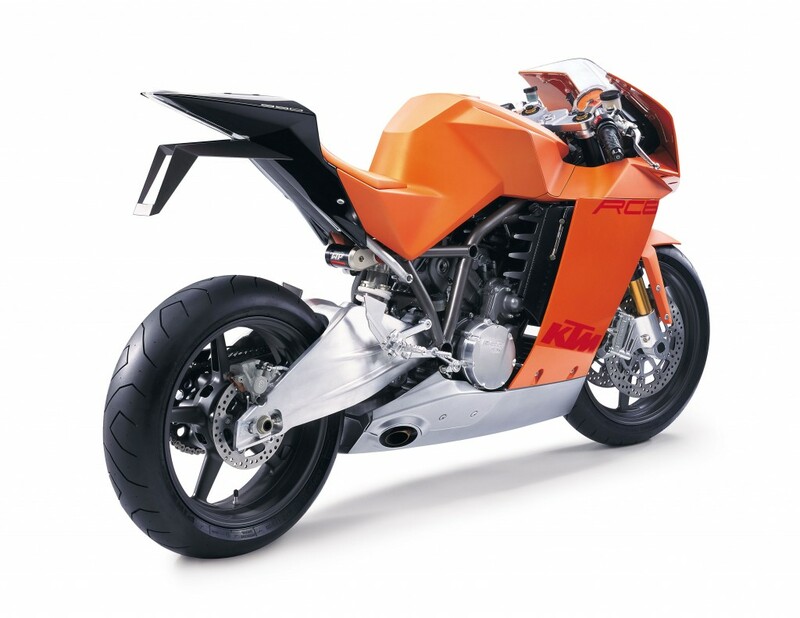 There were a lot of shut doors, but he proudly took us through one marked ‘RC8’ and showed us the final prototype of their new superbike about six months before it was unveiled! That was the first time I had met Thomas but he trusted both myself and my photographer not to spill the beans on their most secret of projects. Can you imagine a Japanese manufacturer taking such a risk? 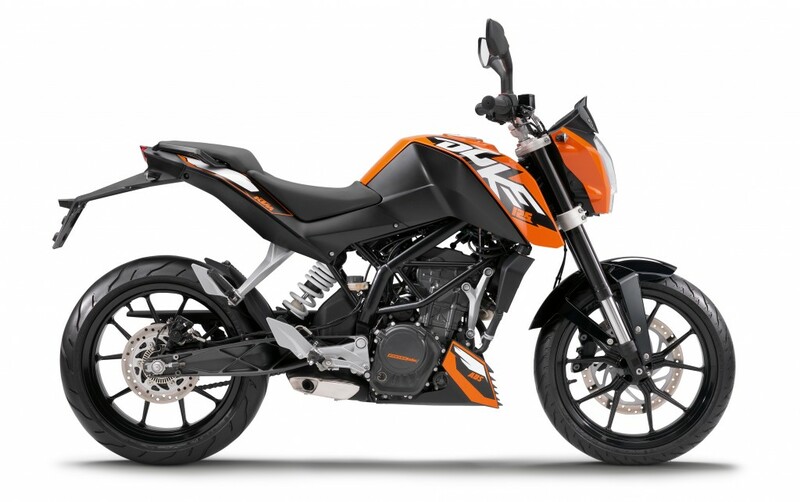 Back in one of the offices, Thomas apologised that KTM’s sales and marketing manager Hubert Trunkenpolz (yes, that’s the T in KTM) was away, but said it wasn’t a problem as he was waiting for a phone call from me. Two minutes later, I was chatting with one of the board members of KTM about the future direction of the company. And he was remarkably frank and open about the company’s plans. I remember Mr. Trunkenpolz saying that in a few year’s time they would be outselling BMW to become Europe’s largest motorcycle manufacturer (they achieved this in 2013 as the financial crisis slowed down the motorcycle market’s growth) and that they were looking at building an exciting 125cc four-stroke beginner’s bike that looked cool (the 125 DUKE was launched in 2011) to help with growth. Interestingly, I also remember him talking about the fact that if you build cool looking bikes, people will buy them, something that the 125/200/390 Dukes have proven. There was also talk of small capacity race style road bikes, which is exactly what the single cylinder RC range will deliver later this year. 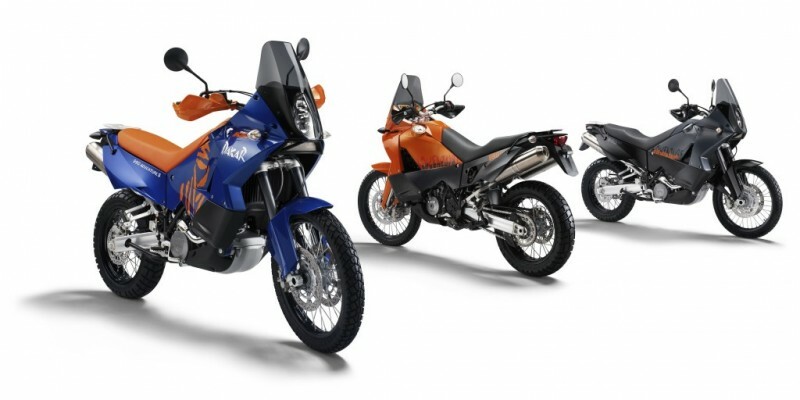 Looking back, he spilled the beans on just about every single one of KTM’s future models! It was founded in 1934 by Hans Trunkenpolz and headquartered in Mattighofen. The company is famous for its sports bikes and recently it has started producing street motorcycles also.